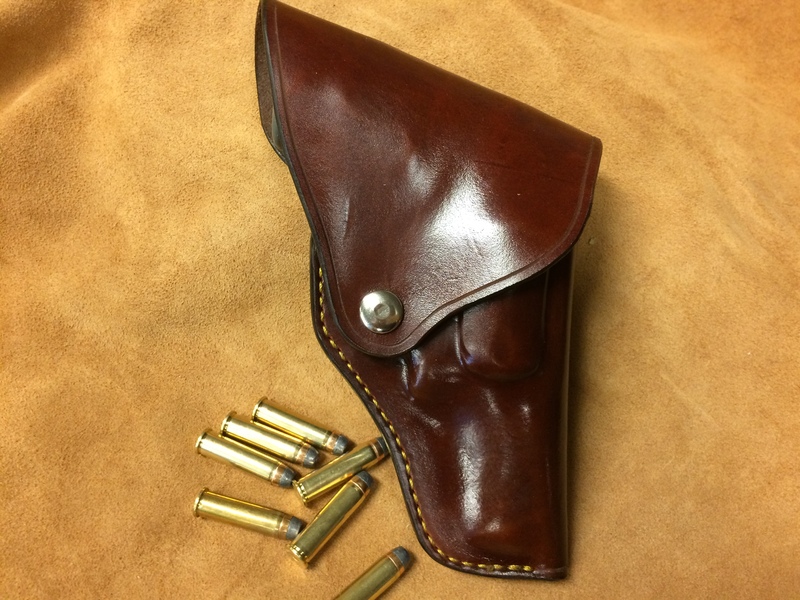 Some situations call for a holster that secures the weapon and provides protection from the elements and other causes of damage in the field. The Full Flap Field Holster meets those needs. Full coverage of the handgun, snap-down flap for security. This model may be ordered for strong-side (neutral cant) use or for cross-draw. Please specify. Belt loops may be formed for use on 1.5", 1.75", or 2.25" belt widths. Please specify. (Standard is 1.5" width, which will be provided unless otherwise specified). NOTE: Base price applies to any gun up to a 4"bbl. Any weapon with a bbl five inches and beyond is subject to a $5 per inch additional cost. 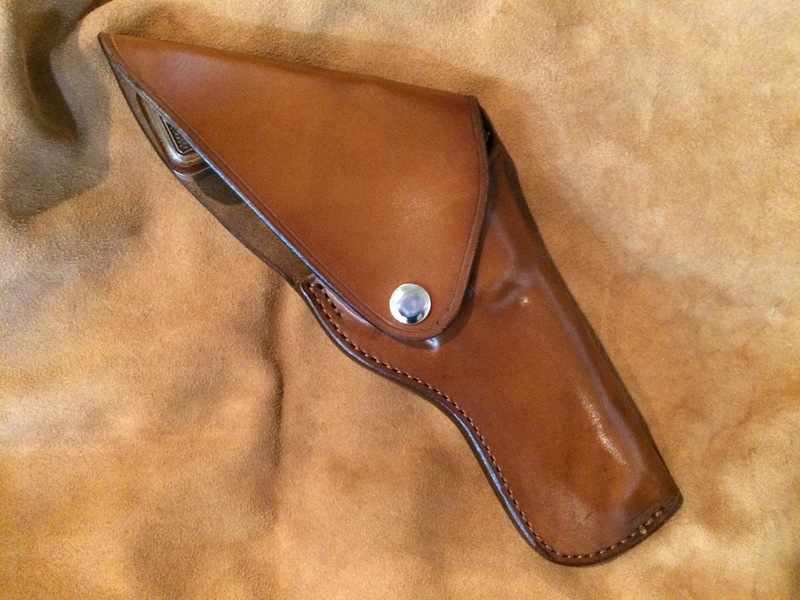 Flap-style holsters will fit only those handguns with factory-standard grips. 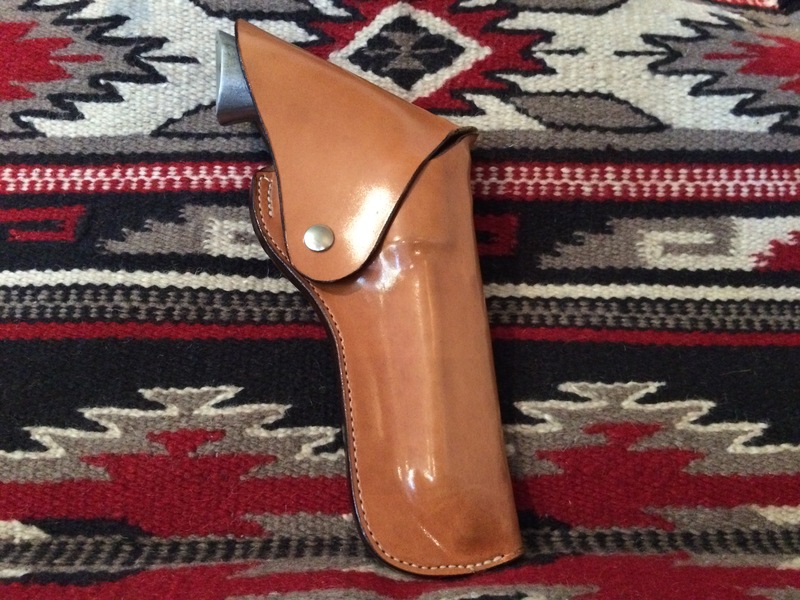 Oversized or aftermarket grips may not work with this holster model.